This section is for News Items about the club in 2019 - Visit Regularly for Updates. March meeting: Winter Projects Exhibition. 20 Members attended the March Meeting. The number of Models were fewer in number than previous years but were interesting and built to a very high standard. A most enjoyable evening. 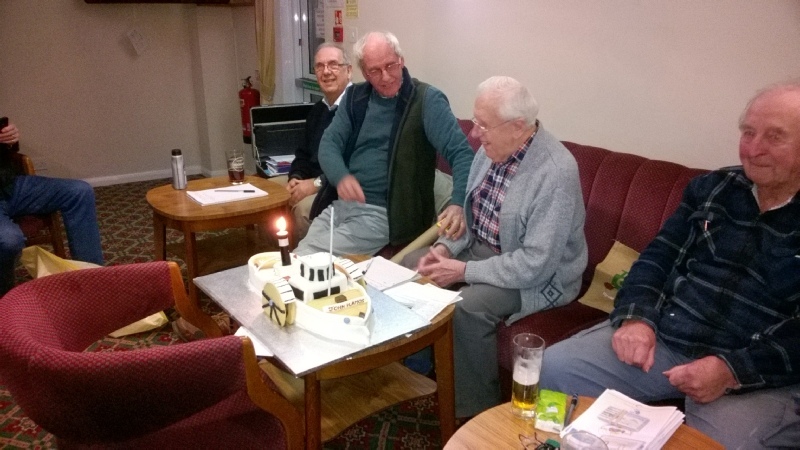 The Club presented our Chairman, George, with a custom made cake to celebrate his 90th Birthday and to thank him for all the hard work he has put in to keep the club running.